I am the product of my parents and am so very blessed. Off to spend the day with my Mom and brother. What a fortunate daughter you are. I am sure he was a fine man. Thinking of you and wishing you a wonderful weekend with your mom & brother. A lovely tribute Linda to both your parents but in particular your father…. Linda, I have lost both parents and there is not a day that I don't think of them. I hope today will be a time of sharing wonderful memories with your family. That is such a lovely picture of you and your dad! I am so so sorry to hear of your loss. Please know that you and your family are in my thoughts and prayers. Wishing you a peaceful day, Linda as you honor your father's memory. What a beautiful picture of your parents, Linda. You look so much like both of them! Isn't it terrific that you will always have such wonderful memories of your father? And you obviously got some of your love of home from your mother. That photo looks like they might have been posing for House Beautiful, back in the day. Your Dad looks like he was a kind, gentle and thoughtful man. Have a wonderful time with your Mom and brother – remembering, savoring. * Dear Linda~ I know what a truly difficult day today is for you, believe me. Please know you, your Mom and all your family, as WELL as your Daddy, are in my heart & prayers. 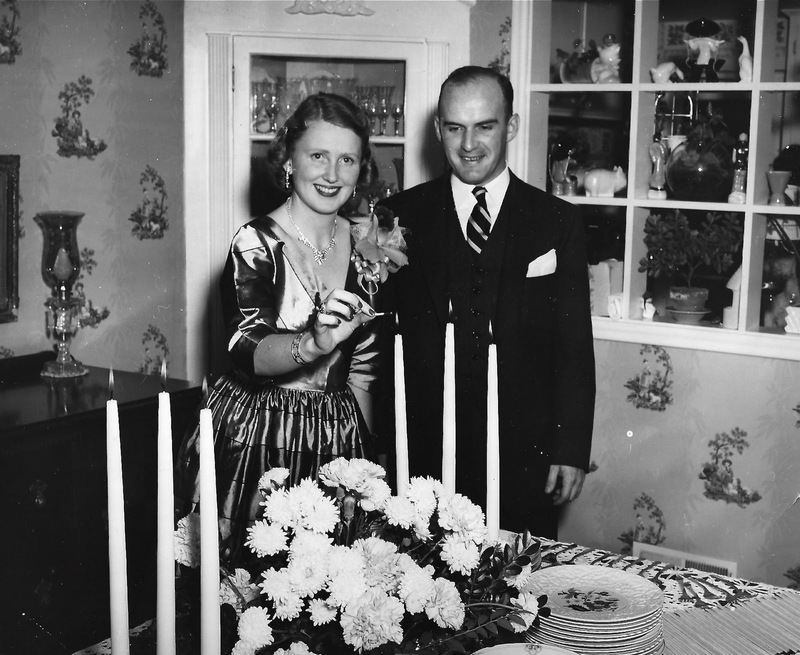 Both my parents died way too young, and WOULD have celebrated their 64th Anniversary just yesterday, so, I really DO know how you're feeling… as I'm sure people have suggested, happy thoughts of good times, and talking with him in your prayers, WILL help, my friend. At least it always does for me. Aww…sentimental moments 🙂 You look like your mom 😉 Going to NYC in May…if you will be there, it would be nice to have drinks! I read your blog from time to time and enjoy it. Please except my heart felt sympathies. i to lost my father on this day (1/29/10). Sending prayers of comfort to you and your family. Dear Linda I am so sorry you lost your sweet father. You and your family are in my thoughts. Aww.. Such wonderful memories about your dad. I'm sure he's happy now. Thanks everyone for your kind words – he was a great guy and the kind of person who made friends wherever he was.